Not fitted yet, but product seems to be of good quality. 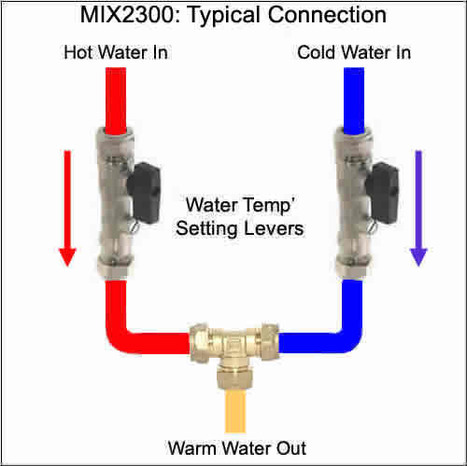 MIX2300: Manually pre-set Hot / Cold, water water blending kit. The required temperature for ongoing use is pre-set at the installation stage. Manually pre-set Hot / Cold, water blending kit with integral check valves. The temperature is pre set at the time of installation providing a set water temperature for future use. Ideal for taking the chill of the water and providing a warm water supply to your bidet shower. Please NOTE this is a basic proportional hot and cold water blending device and is NOT thermostatically controlled. Ideally suited to combination systems. 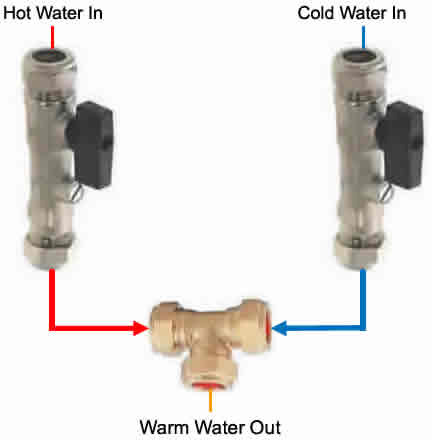 There are two adjustable levers on the ports, one on the cold water inlet, one on the hot water inlet, these are adjusted at the time of installation to create the right balance of hot and cold water flowing in to the mixing manifold to create the desired water outlet temperature. An inexpensive way of taking the chill of the water and providing a warm water supply to your bidet shower. 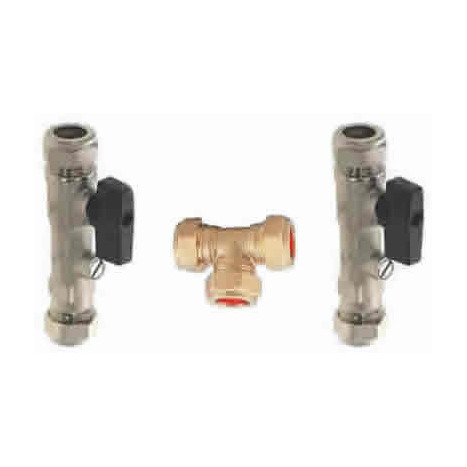 The 2 valves in the kit have integral double check valves, please ensure valves are installed with water flowing in the direction of the embossed arrow on the valve casting.